Do you find yourself staring at your huge collection of audio files, a mishmash of various formats that used to be popular but are now showing signs of wear? Would you like to convert them to more modern formats, but find the task daunting? Never fear, for today’s discount software promotion, Boilsoft Audio Converter, makes it easy! 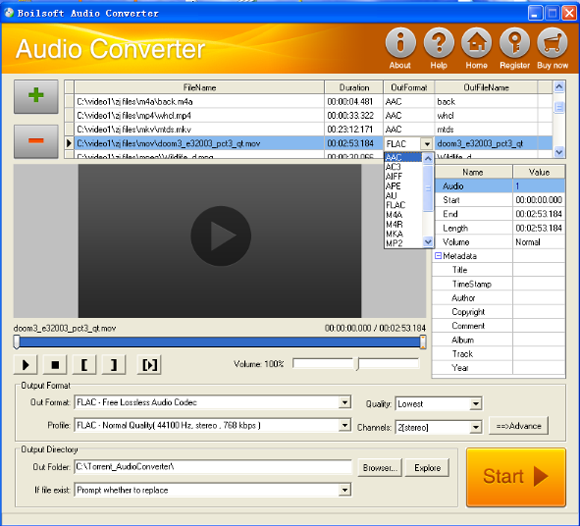 Boilsoft Audio Converter lets you extract and convert audio to a wide variety of popular audio file formats. 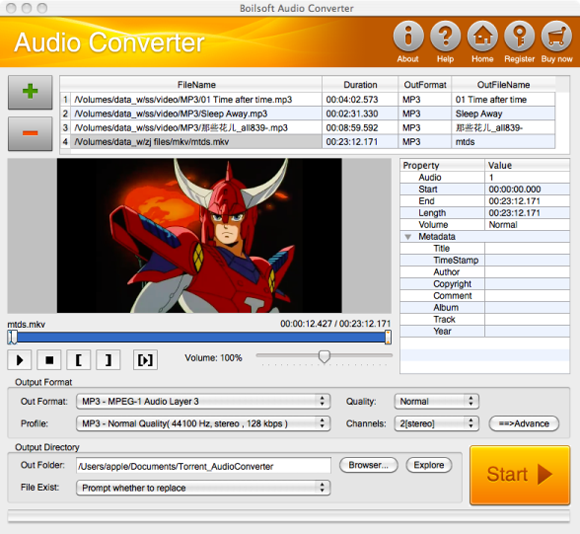 With Boilsoft Audio Converter, you’ll be able to consolidate your extensive collection of audio clips into a single file format, or extract your favorite clips from video sources quickly and easily. Best of all, you can convert multiple files in batch. Imagine being able to take your favorite movie lines from your DVDs and converting them for perfect playback on your portable media player, game console, or smart phone! Along the way, customize metadata information and tweak technical aspects such as sample rate, bitrate, and number of audio channels. It’s all so easy with Boilsoft Audio Converter! 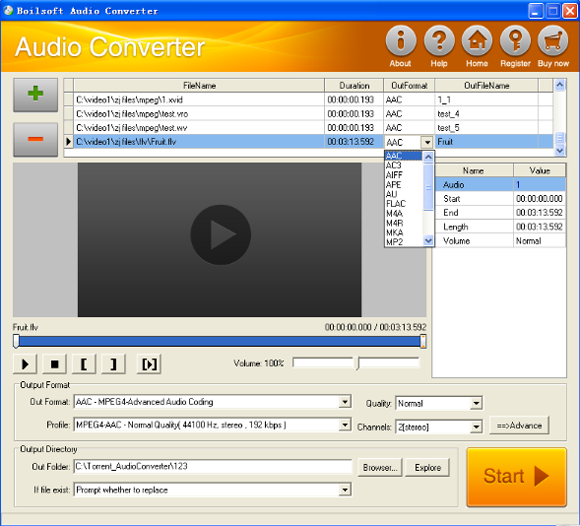 After you purchase Boilsoft Audio Converter it may be used indefinitely. 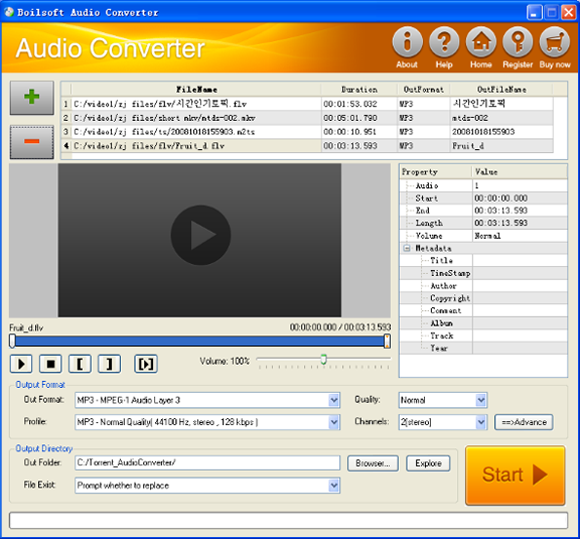 Boilsoft Audio Converter is licensed per user, so if more people are going to use Boilsoft Audio Converter you will need to purchase additional copies. Mike User As i see this version it's not compatible with Windows 10. So, when a new version compatible with Windows 10 will be released, will i need to purchase it, or i can upgrade my version for free? Rob User Did MikeUser 's question ever get answered? This latest deal appears exactly the same software as the one a year ago. So back to MikeUser' s question? You know what, don't think I'll bother, you can get this functionality for free. Bits Du Jour this is becoming a regular issue. And this software isn't even free! Teguh User Tried trial version on win 10 home version. Its working fine. Too bad they don’t accept paypal as payment method. Ben Works beautifully with Windows 10.